Alejandro González Iñárritu’s “The Revenant” is expected to win several Oscars at Sunday’s Academy Awards ceremony, but the prize for best original score won’t be among them. The score for the historical drama starring Leonardo DiCaprio, composed by Ryuichi Sakamoto with Alva Noto and Bryce Dessner as collaborators, was disqualified by the Academy of Motion Picture Arts and Sciences in December. Referring to the fact that the score for his acclaimed “Birdman” was rejected for similar reasons, the director added, “This is the second time they are not doing it right for colleagues in the work. And this is scandalous. Ryuichi sent a beautiful letter to them. I hope they reconsider this. It’s a serious threat for musicians. It’s the wrong message to send to everybody, it will paralyze anyone who seeks to try something different. Sakamoto won a BAFTA Award in 1984 for “Merry Christmas, Mr. Lawrence,” an Oscar and a Golden Globe in 1987 for “The Last Emperor,” and a Golden Globe in 1991 for “The Sheltering Sky.” He received both Golden Globe and BAFTA nominations for “The Revenant.” At the time, the score for “The Last Emperor” was eligible for an Academy Award even though it was a collaboration between Sakamoto, David Byrne and Cong Su. 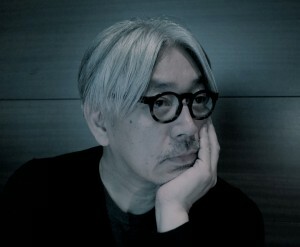 A former member of the band Yellow Magic Orchestra, Sakamoto also appeared in “Merry Christmas, Mr. Lawrence” and “The Last Emperor” as an actor.